RAFAEL NADAL: Always there is room to improve, no? Is obvious that I have been practicing little bit better than what I played today. But at the same time is true that I have been playing good for moments, some mistakes in other moments. But it’s fine, no? It’s the first match. It’s important to be through. Especially after what happened in Miami, it’s never easy. The first match again. Happy for the victory. I know that I have to improve for tomorrow. But I have confidence because I have been practicing very well these weeks. Let’s see if I am able to play the way that I was practicing. Tomorrow is going to be a tough match against a difficult opponent. Q. There was pictures of you with tape on your wrist in Barcelona after Miami. Is there anything wrong? RAFAEL NADAL: Nothing important, no. Always on professional sport, there is some issues. My wrist was bothering me since Australia a little bit, so I did a treatment that day in Barcelona, no? That’s why I had the tape on. But that’s it. The next morning the tape was not there anymore. Was recovered the thing that I did for the treatment. That’s it. I have been able to practice. Q. What do you expect tomorrow and what do you think about Dominic Thiem? RAFAEL NADAL: I expect a tough match. He is a great player who is having a great season. Is probably the best surface for him, no, the clay. I expect a very difficult match. I know to have chances, I have to play very well. I need to do it and I going to try to do it. Q. Can you tell us what kind of treatment you had to undergo for your wrist? RAFAEL NADAL: I did one injection of I don’t know how to say in English, antiinflammatory. That’s it. Q. How do you approach this clay season? Do you feel you have more responsibility in a way because after all what you have proved in the past, everybody is expecting from you a lot? Do you expect from yourself a lot, too, or not so much? RAFAEL NADAL: I don’t expect. I play every day. That’s it, no? I don’t think about what you expect or what you don’t expect. Seriously, it really never bother me or never thought about what expect or don’t expect. I play my tennis. I do my way. For the moment I’m in the third round of Monte-Carlo. That’s the only thing that I know today. The other things, I don’t know what’s going to happen. I going to try my best. I going to play as good as I can to have the best results possible. But I don’t know what’s going to happen. Q. Still you could be more optimistic or less maybe, I don’t know. RAFAEL NADAL: But if I say that I am optimistic, going to change or not what going to happen tomorrow or the next couple of weeks? Doesn’t matter. If I am optimistic or negative, it stays for me because is something personal. I know how I am practicing. I know how I am working. Then I need to play well on the competition. But is something that I don’t think much about it. I think I am prepared to play well. Let’s see if I am able to do it on competition. But I don’t expect and I don’t think about what can happen or what cannot happen. Q. So it doesn’t help the confidence to be optimistic, it is a general issue, a philosophical issue? RAFAEL NADAL: The confidence is with victories, no? The people who has confidence without victories probably is lying you when the people says that. If somebody is not winning enough, come here and says, I am very confident, probably he is lying you. I need more victories to be 100% confident, no? Even with a lot of victories, I never have been 100% confident. The confidence is a product of playing and do the right things every day. That’s what I am trying to doing. Let’s see if tomorrow can be another positive day for me. Is obvious that I have more confidence today than yesterday. I hope to have more confidence tomorrow than today. Q. Do you feel the real second favorite of the tournament? RAFAEL NADAL: I don’t care. You know, I don’t care if I am second favorite or not favorite. Doesn’t matter because that’s not going to affect about what going to happen on the tournament, no? At the end of the tournament, going to win the player who will play better during the whole week. What we talking here, you know, is just for you. You have to write. But for me and for the tournament itself, doesn’t make a difference. The sport is the thing of every day. Every day you have an opponent in front that wants to win, too. The player who is able to do the things better every single day is going to be the player to have the chance to have more success longer time. Q. What do you remember about last time you played Thiem? What you think about Thiem? What do you think is his best, forehand or backhand? RAFAEL NADAL: I think he has a great serve and a great forehand. He has all the shots. I think his best shots are serve and forehand. In Argentina he beat me. I was close to win, is true. I had a match point. That’s it, no? I know he’s a great player and he’s having a very good season. So he’s confident. We’ll see. We’ll see tomorrow. I think I know what I have to do. Do it is not that easy. Q. After the allegations of the former sports minister in France, you said you were going to take legal action. What has been done in the meantime in this case? RAFAEL NADAL: I said I have been talking enough about that in Indian Wells, so I don’t want to talk again about that. I said what’s going to happen. You will receive information. Q. When you say you need wins to get confidence, is it titles or is it beating Novak or Roger or whatever? RAFAEL NADAL: Confidence is playing weeks in a row at the right level. That’s confidence, no? It’s not about one day or another day. Indian Wells is a great week of confidence because I have been playing against a very good players and I was able to playing better and better during the whole week. The real thing, I was real confident in Miami, but happened what happened. Obviously after Indian Wells, my confidence is higher than before Indian Wells. That’s the confidence in sport. The confidence is when you combine playing well and winning. That’s when you have more confidence with yourself. That’s it. 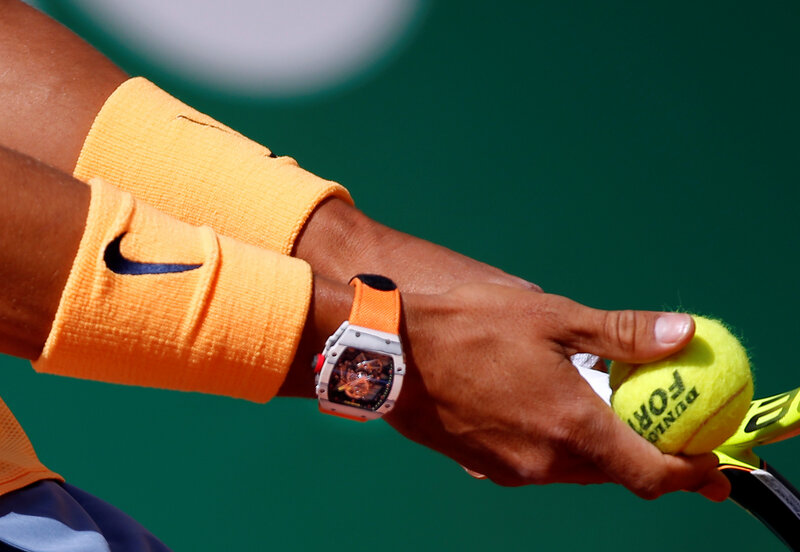 Previous Monte Carlo R3: When does Rafael Nadal play against Dominic Thiem?